A Houston District winner in the Metropolitan Opera National Council Auditions for two consecutive years, she advanced to the 2014 Semi-Final Round and was honored to perform on the Metropolitan Opera Stage. Ms. Cummings has also been awarded Second Place in the Mid-Texas Symphony Vocal Competition, and was named a finalist in the Bel Canto Scholarship Foundation competition, Audience Choice in the Lois Alba Aria Competition and a semi-finalist in the Dallas Opera Guild Competition. 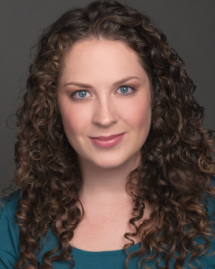 She appears frequently on stage around her home state, most recently performing with Austin Opera, Spotlight on Opera, and Alamo City Opera, as well as in recital. Ms. Cummings graduated with honors from Illinois Wesleyan University in Bloomington, Illinois with a Bachelor's of Music in Vocal Performance and a minor in Political Science. She spent a semester studying both music and government in Vienna, Austria where she performed in the IES Vienna Music Performance Workshop. After finishing her Bachelor's degree, Ms. Cummings returned to her home state to complete her Master's of Music in Opera Performance at the University of Texas at Austin where studied with David Small and Rose Taylor. She currently resides in Austin, Texas with her husband, baritone Austin Bradley, and their diva dog, Miss May. Ms. Cummings has been honored by the invitation to participate in master classes with such artists as: Joan Dornemann, Kathy Kelly, Carl Tanner, Lucy Schaufer, Warren Jones, Dr. Carol Anderson, Patricia Wise, and Mary Dunleavy.